Deer are a common sight in backyards, and though they may be nice to observe, they can also be a nuisance. Deer eat 6-10 pounds of food every day and if they happen across your yard, this can include your plants, tree leaves, and vegetable garden. Deer also bring ticks into your yard that can carry Lyme disease, and they may attract predators as well. 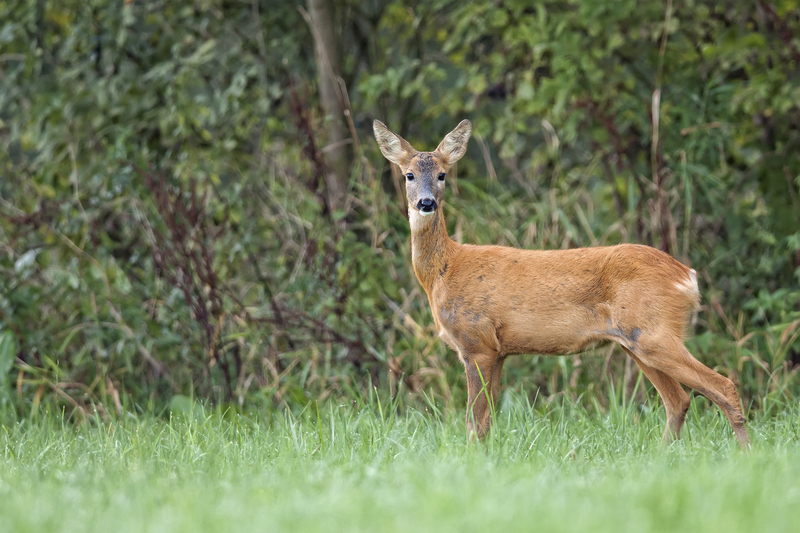 Keeping deer out of your yard keeps your trees, shrubs, and gardens safe, and keeps you safe by reducing the presence of ticks, and possibly predatory animals. So how do you go about keeping deer out? There are some methods such as using deer repellant scents, but these are hit or miss, and it’s difficult to use these to cover an entire yard. A fence, on the other hand, can run around the perimeter of your yard and enclose it completely, keeping everything on the inside out of the reach of curious deer. There are many kinds of fences that work well for this application, including wood, aluminum, iron, and chain link fences. 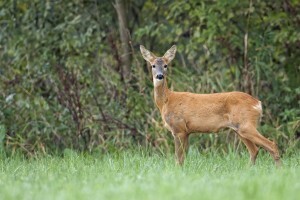 There are several things to consider when installing a fence designed to keep out deer. First, deer can jump very high, clearing up to six feet. This makes it important to install a fence that is tall enough to prevent dear from jumping over, which means it should be at least 8 feet tall. If you don’t want a very tall fence surrounding your property, you can choose to just focus on a few areas such as a garden that you want to protect. In addition, check with your local neighborhood association as it may have requirements of its own regarding fence construction. This entry was posted on Wednesday, July 2nd, 2014 at 7:35 pm. Both comments and pings are currently closed.